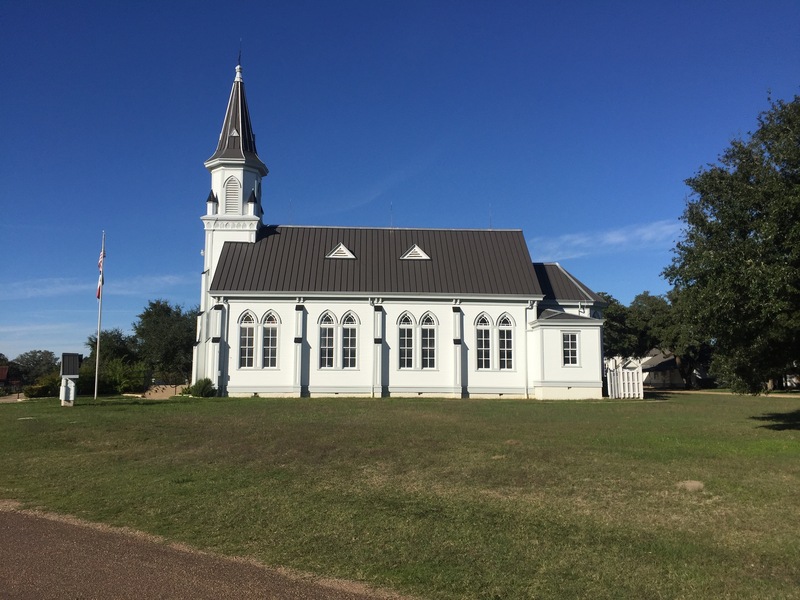 The painted churches of Texas are among the most beautiful architectural treasures in the Lone Star State. These simple yet elegant structures remain a vital part of the DNA of the small communities they have served for well over a hundred years. 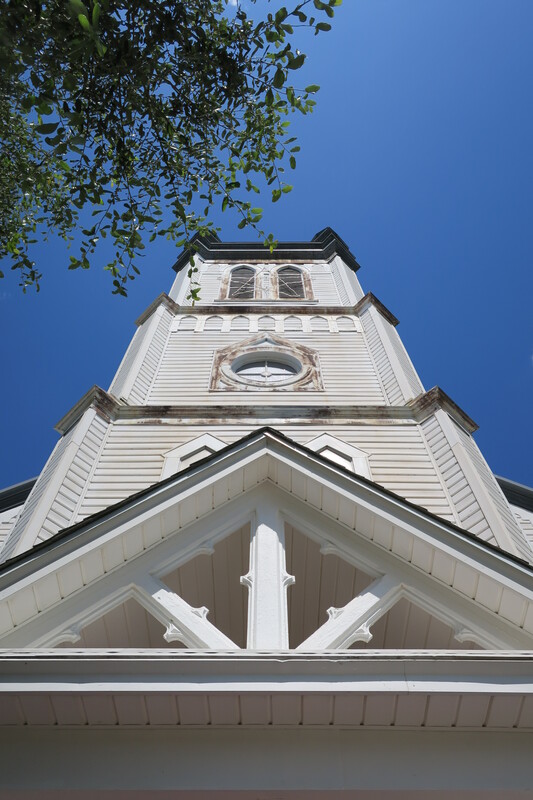 Every detailed feature of these buildings is a lingering testimony to the talent of now-forgotten carpenters and craftsmen — men and women who built something that has outlived them and continues to inspire new generations of the faithful. The original structure of the Guardian Angel Catholic Church in Wallis was built in 1899 to serve the small Czech community. Sadly, this building was destroyed by a cyclone the following year. 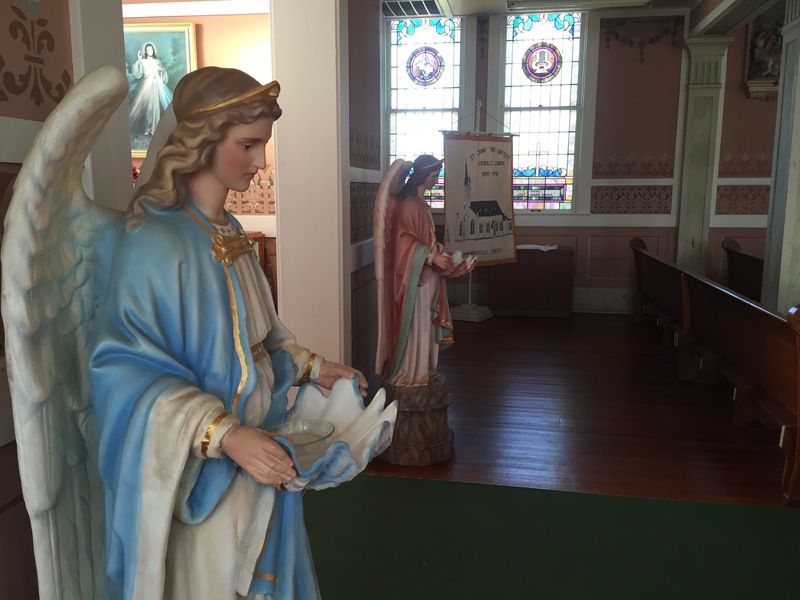 Services were held in the homes of parishioners until a second structure was built in 1904. 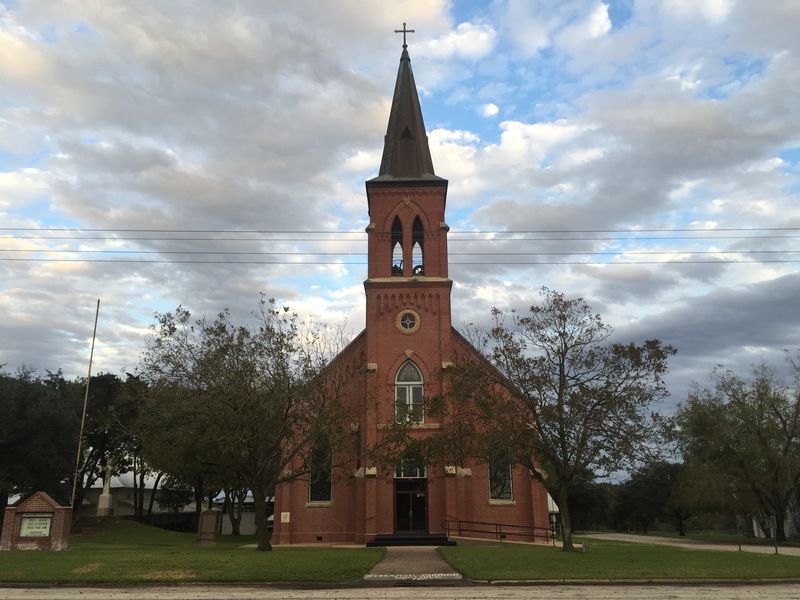 By 1912, the parish had grown to about 75 families. So, parishioners raised funds for a new building. Wallis builder Jan Bujnoch was hired to build the new structure designed by German architect Leo Dielman of San Antonio. The new building was dedicated on October 21, 1915 and was added to the National Register of Historic Places in 1983. The simple Gothic Revival exterior of the white structure is accented by the deep green foliage of the surrounding trees. 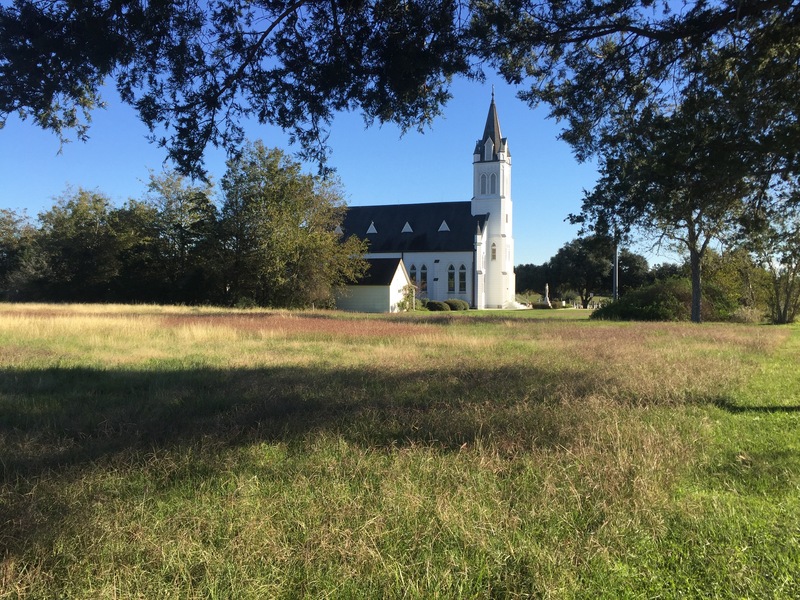 It is a peaceful setting — the perfect place for a church building. 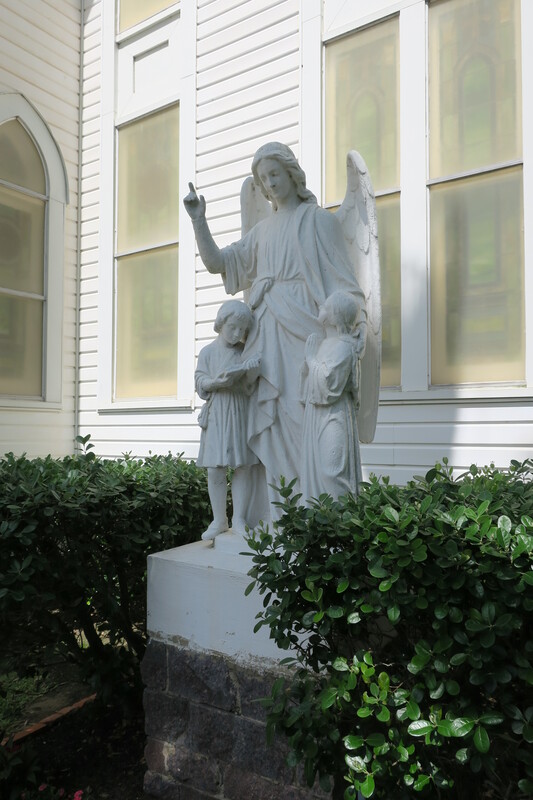 The entry to the building is flanked by a small statue of Christ with His arms extended and a statue of a guardian angel protecting two children. The interior of the building is quite simply magnificent. 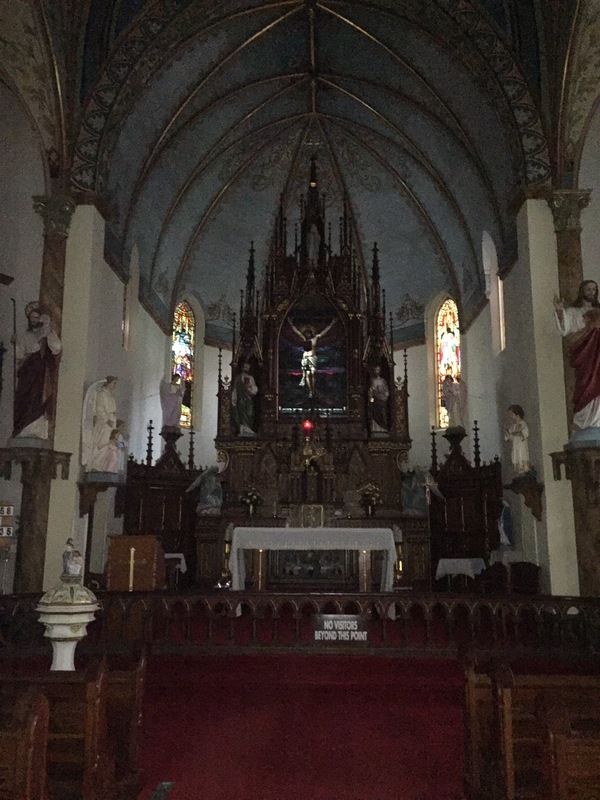 The arches, the ceiling with its gallery of biblical figures, the wooden pews, and the columns all serve to frame the ornate altar. The statutes of the Stations of the Cross depicting the passion of Christ line the walls on either side of the pews. 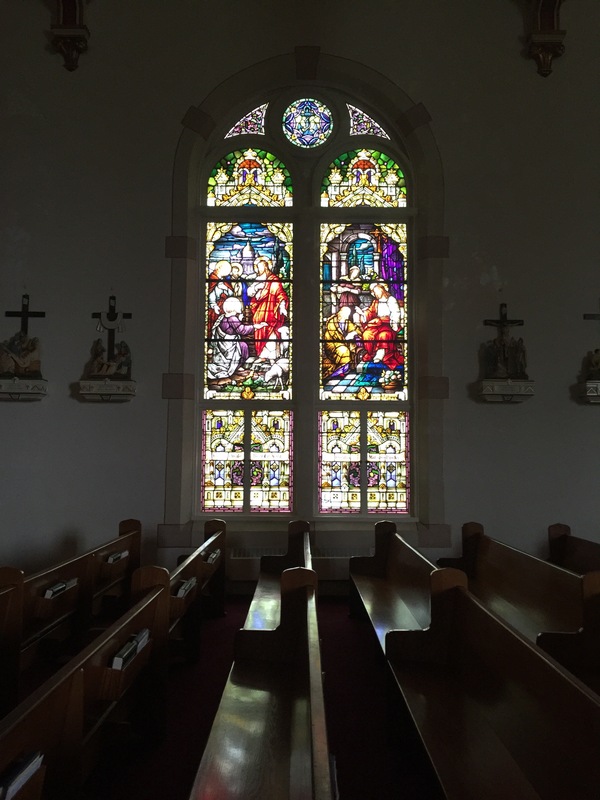 And the beautiful stained glass windows soften the light that spills into the sanctuary. Every element in this building in some way contributes to creating a peaceful and worshipful setting — a refuge from the outside world. Once inside, I had to take a moment to put my camera down and to just sit and take it all in. To say “they don’t build them like this anymore” would be absolutely true. Most modern church building are functional but lack the inspiring elements of the painted churches. There are lots of great places to visit in the Lone Star State. We certainly have no shortage of natural wonders. 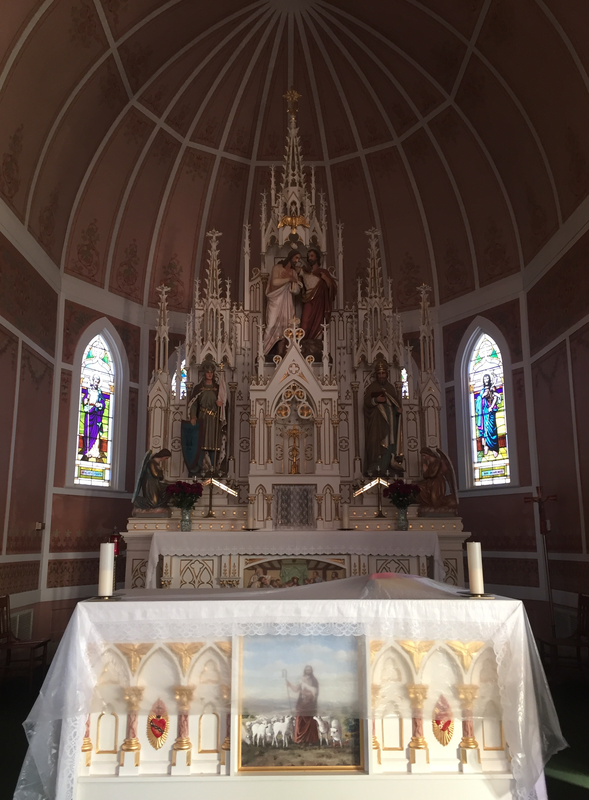 But, as you plan your next Texas adventure, consider visiting some of the painted churches in the state. 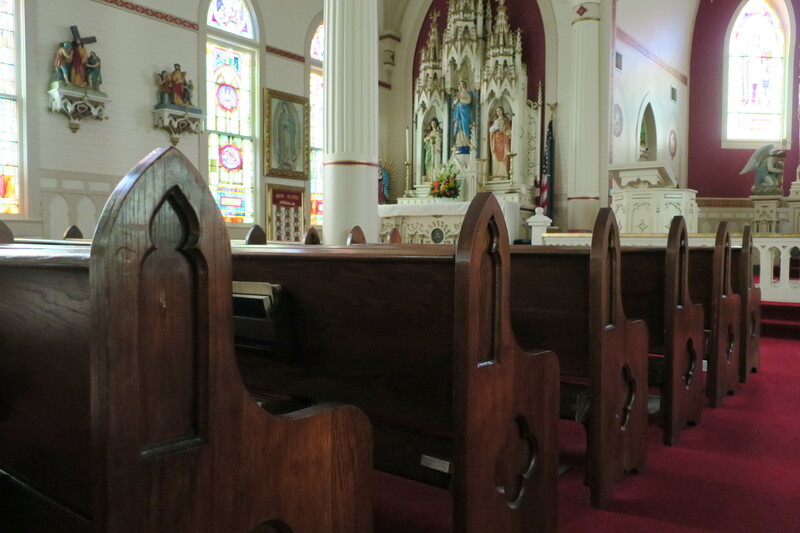 Most of these churches remain open throughout the week and welcome visitors. Enter with reverence. Linger for a while. Depart refreshed by the legacy of faith of our early Texas settlers. 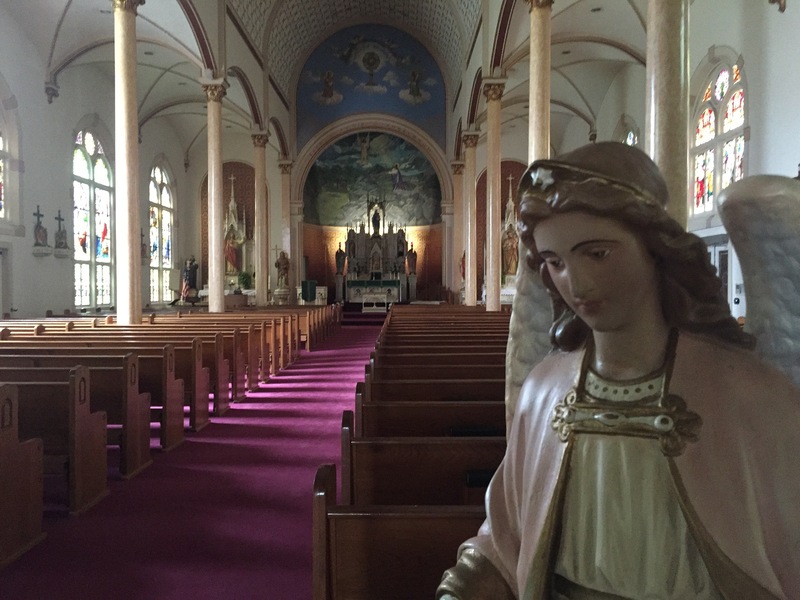 The painted churches of Texas are one of the Lone Star State’s best historical treasures. 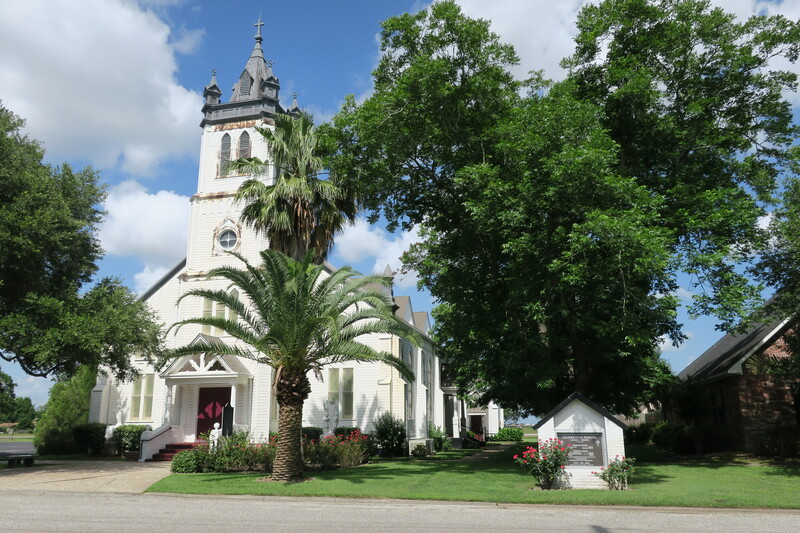 The legacy of German and Czech immigrants, these churches are a testimony to the faith of those who settled frontier towns from the Gulf Coast to the Texas Hill Country. 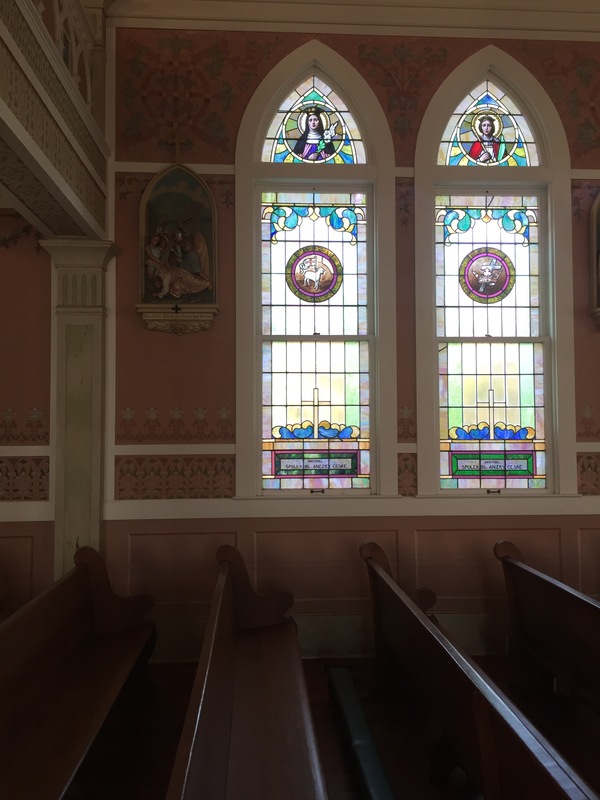 There are about twenty painted churches in Texas — so called because their sanctuaries are beautifully adorned with hand-painted murals and other colorful decorative elements. 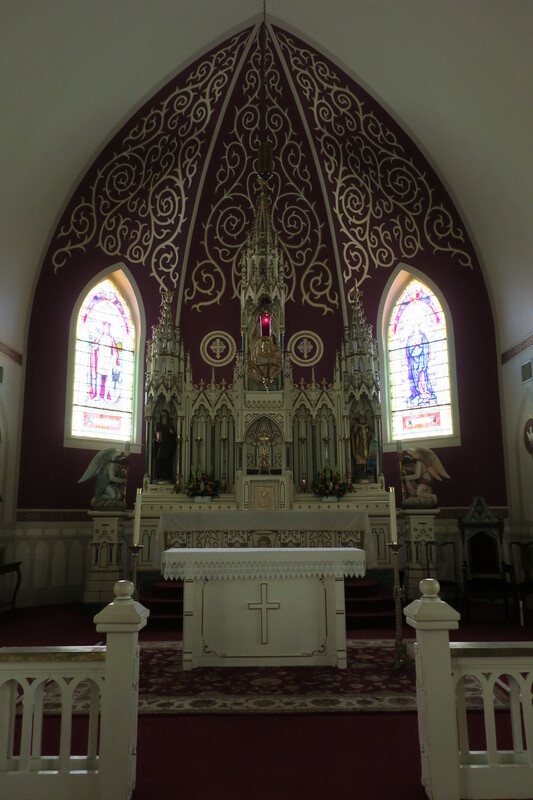 The Catholic Church of Saints Cyril and Methodius in Shiner, Texas is one of the most beautiful of the painted churches. Shiner was founded by German and Czech immigrants in 1887. 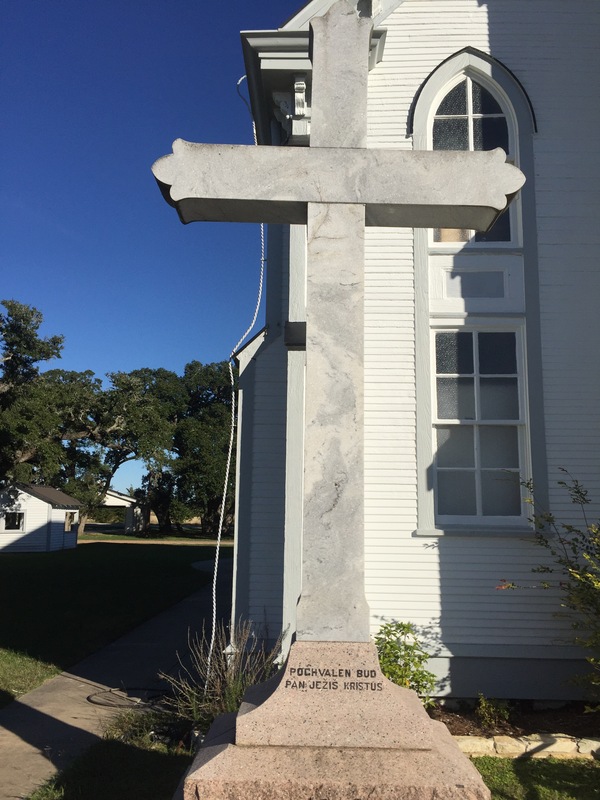 While the early citizens of Shiner were busy building their homes and businesses, they did not neglect the spiritual welfare of their new community. 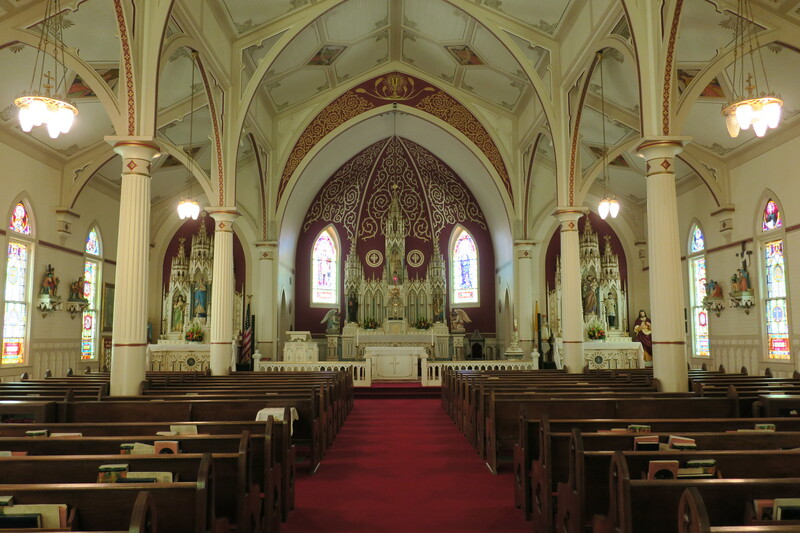 The first Catholic church building was completed in 1891 and served the people of the community for many years. Rapid growth of the parish in subsequent years led to the construction of the larger church building that is still in use today. Completed in 1921, this beautiful building is regarded as one of the most magnificent Gothic structures between San Antonio and Houston. The church is named after Saints Cyril and Methodius, two brothers who were honored missionaries to the Slavic peoples during the ninth century. 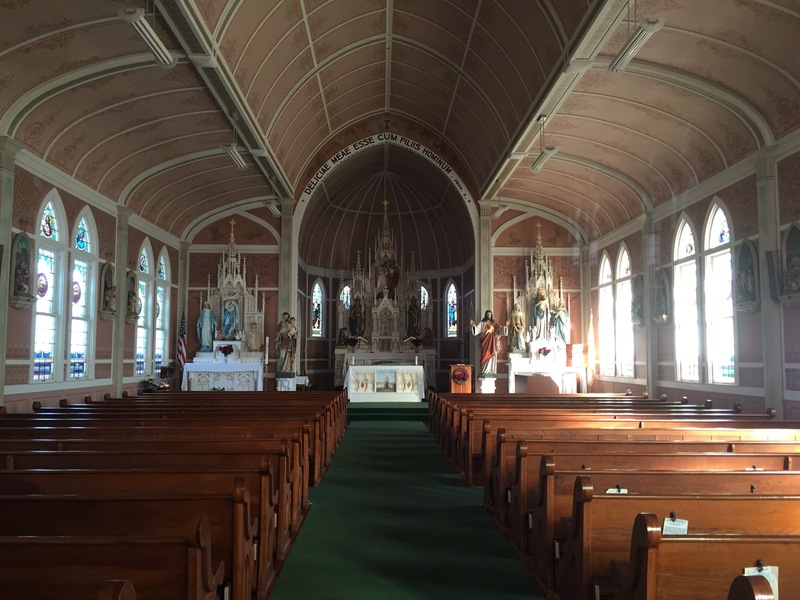 Both the exterior and interior of the church building are a feast for the eyes. The exterior is patterned after the Romanesque architectural style. The interior boasts a beautiful hand-painted mural behind the ornate altar depicting Christ in the Garden of Gethsemane. 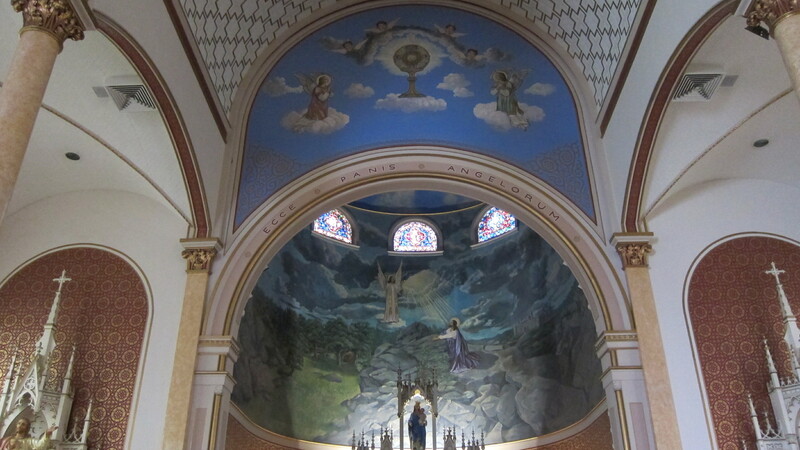 Other painted features include clouds on the ceiling of the dome above the altar and angels on the panel above the arch as you face the altar. These beautiful murals are the work of Edmond Fatjo, the artist. Fatjo was trained in Berlin and specialized in painting church interiors. 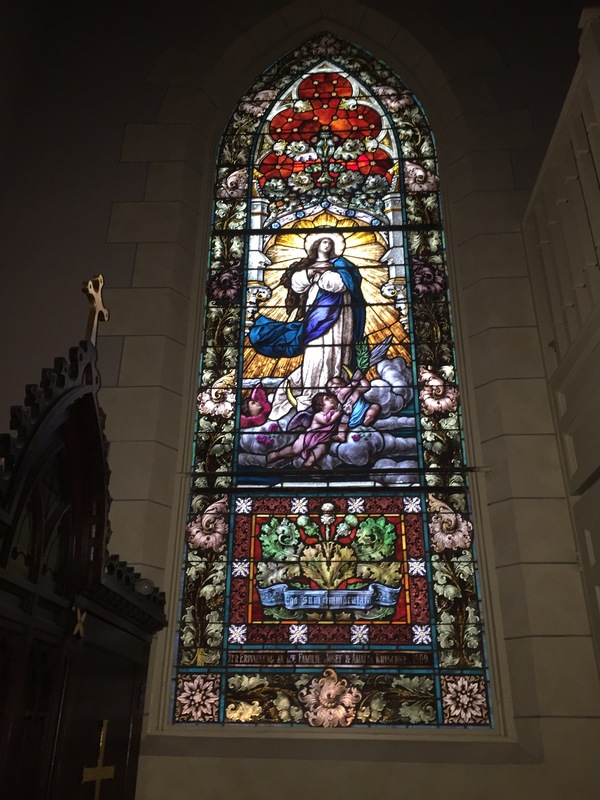 The six large stained glass windows depicting Biblical scenes were made in Munich, Germany and imported to Shiner when the church was built. Stand glass windows, it seems, have become a forgotten element in modern church architecture. 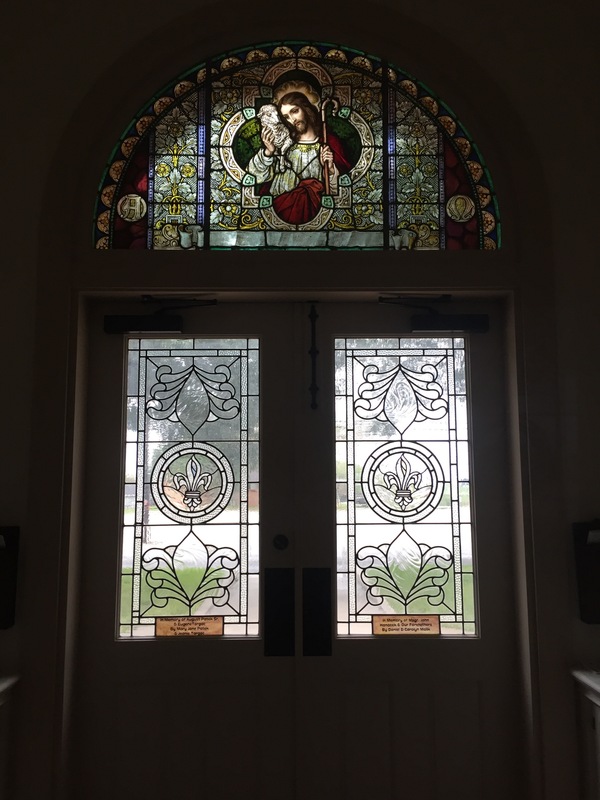 However, the stained glass windows in the sanctuary of the church in Shiner not only add a worshipful ambiance to the interior, they serve as a passive form of education — like illustrated pages from the Scriptures. 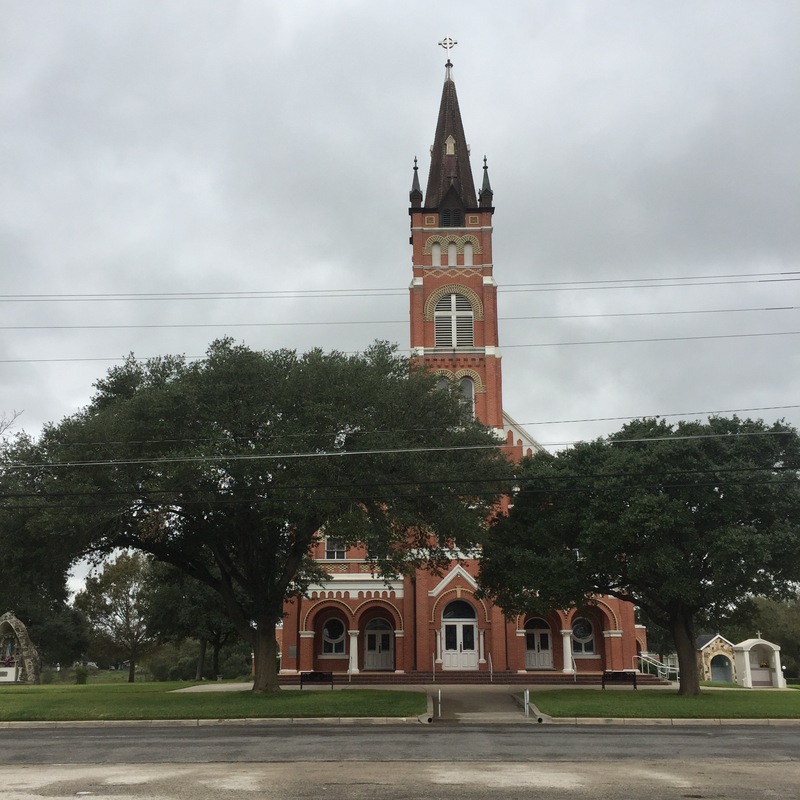 The dramatic murals and other decorative elements make the Catholic Church of Saints Cyril and Methodius one of the most beautiful churches in the Lone Star State. 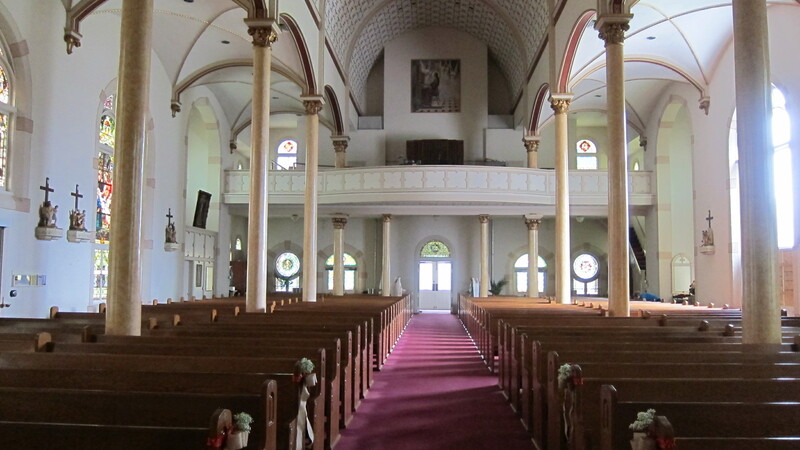 It’s no wonder that this church has been on the National Register of Historic Places since 1983. 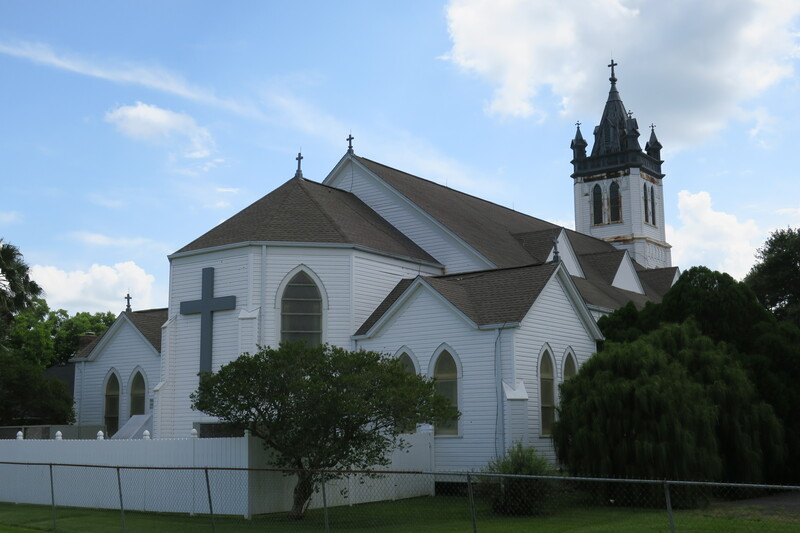 Other painted churches are located in the towns of Ammansville, Dubina, High Hill, Praha, Schulenberg, West, and Fredericksburg — all towns whose historic painted churches are a testimony to the spiritual and cultural legacy of early German and Czech immigrants to Texas. 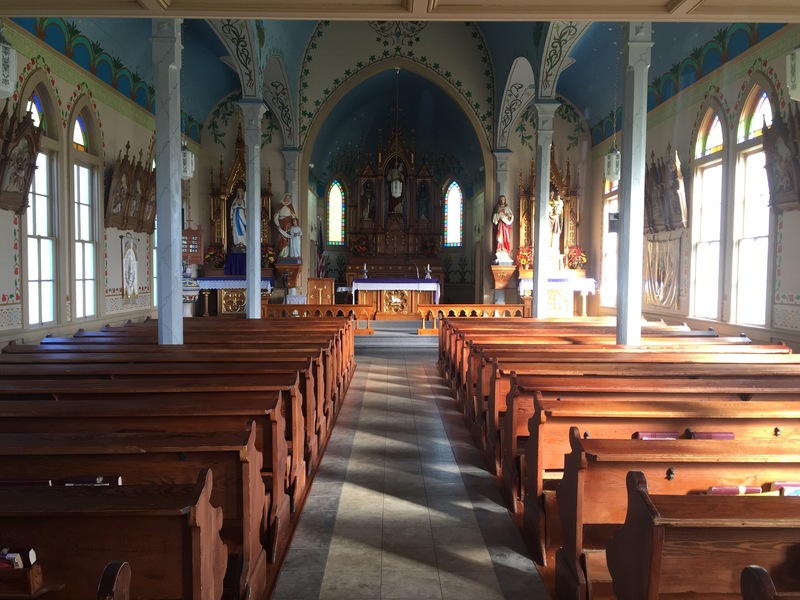 As you consider daytrips near you or roadtrips farther away from you, consider visiting the painted churches of Texas. They are indeed a Texas treasure. 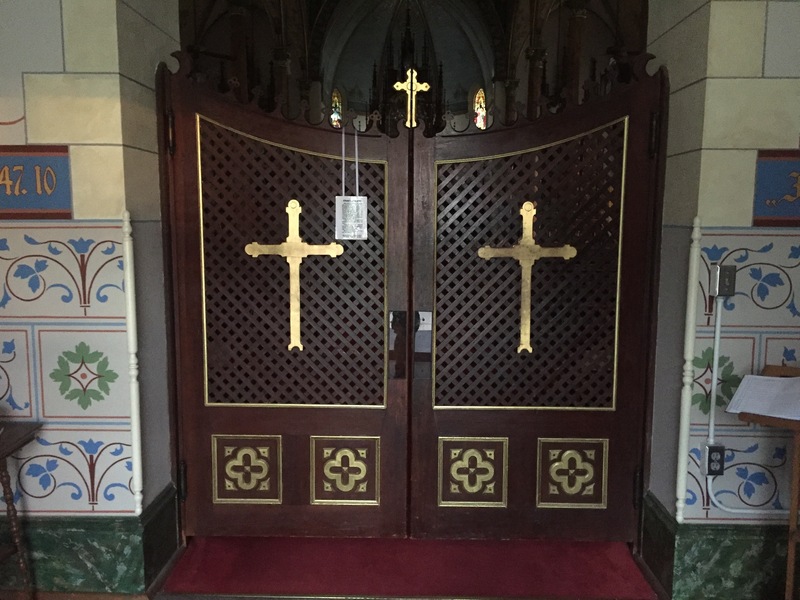 The church in Sculenburg keeps its doors open throughout the week and welcomes visitors. 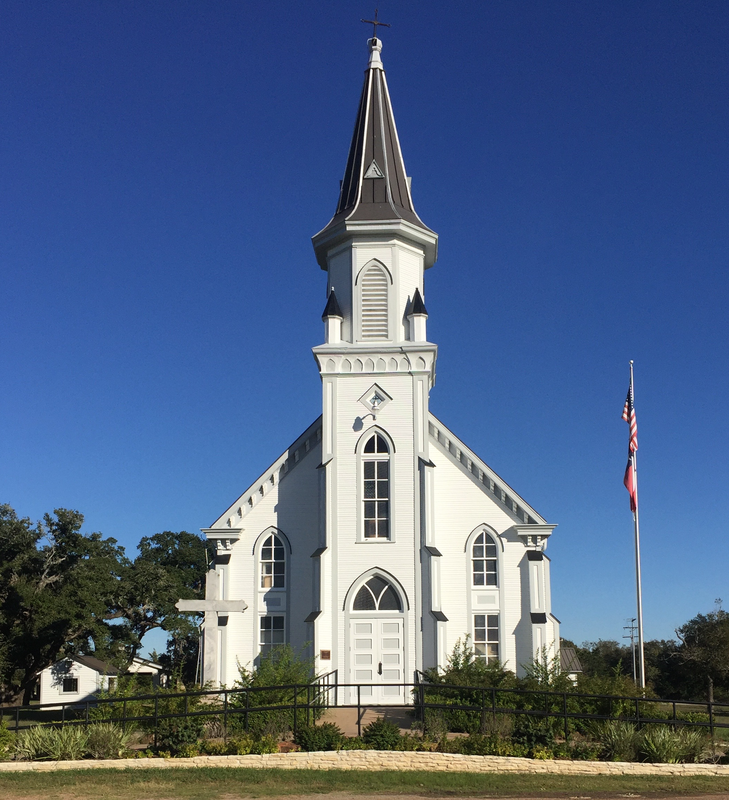 You can check the internet for the best times to visit some of the other painted churches or sign up for a tour of the painted churches through the Schulenburg Chamber of Commerce.